Chester is a vibrant and diverse city located in the west of the borough of Cheshire West and Chester, on the border with North Wales. This beautiful city is presently home to over 120,000 people, who enjoy Chester’s great historical importance as well as its shops, leisure facilities and green spaces to name but a few of the city’s attractions. Founded by the Romans in AD79, Chester still bears signs of its past with its Roman amphitheatre located near to the River Dee. Other historic treasures include the unique Rows galleries which are the envy of many heritage cities, and the City Walls. To discover the full history of Chester and the people who have made it so special, visit the Chester Grosvenor Museum. This museum has an impressive collection of Roman tombstones, along with informative displays that build a picture of Roman Chester. You can also admire the dazzling craftsmanship of the nationally important collection of silver and enjoy the beauties of 500 years of fine art. In recognition of the city’s historical and economic importance, Her Royal Highness, The Queen, granted Lord Mayoralty status to Chester in 1992. Chester shares this honour with only 24 other cities nationally including nearby Manchester and Liverpool as well as the City of London. Chester is one of the United Kingdom’s leading tourist attractions and has much to offer visitors. You can visit Chester Cathedral, take a boat trip on both the River Dee and Shropshire Union Canal, explore Chester Zoo, take part in a historic walking tour or enjoy a sightseeing bus trip. The city is also a very popular shopping and leisure destination with its latest designer stores, well-known high street names and a wealth of independent specialist shops, restaurants, bars, cafes and entertainment venues. Chester is also famous for its racecourse – the oldest racecourse in the United Kingdom and possibly the world, with the first recorded race held on 9 February 1539. The average race day attendance is 23,000, and race meetings bring approximately an additional £1.2m tourism revenue for the city. Business is important in the city too. 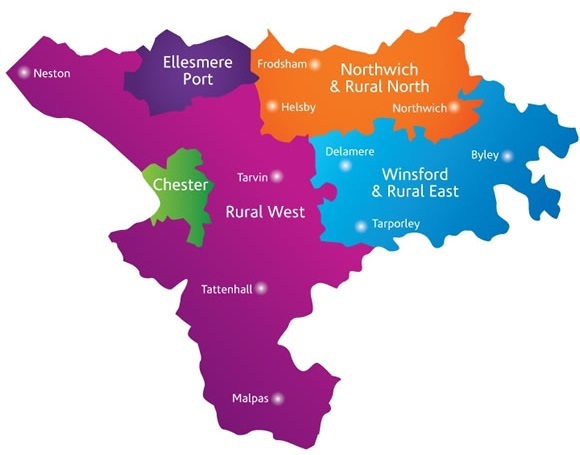 It is the principal economic centre within the borough of Cheshire West and Chester, providing 44 per cent of the borough’s total business premises and 32 per cent of its employment. Employment has expanded rapidly since the early 1990s, predominantly driven by strong growth at the Chester Business Park on the outskirts of the city centre. Plans are in place to develop a new business district in the city close to the railway station which connects Chester to London in just over two hours. For those with a hankering for all things sugar, there are plenty tasty cakes and treats at Top Tier cakes. Catering for celebrations requiring birthday cakes, wedding cakes and other types of cakes, you will find what you are looking for here. Even if you are partial do just a simple vanilla cupcake, you can have that too.. Offering UK delivery Top Tier have it covered and they are a little gem of company. Chester is a truly great place to live, work and visit. Chester Cathedral has a rich and fascinating heritage. It is a living community of prayer and worship, a centre of excellence in church music, and plays a key role for the Christian community across Chester, the Wirral and Cheshire. Thousands of visitors from all over the world are welcomed to the Cathedral each year. For further information about Chester Cathedral you can visit the Chester Cathedral website. Caldy Valley Cheshire West and Chester has a wealth of green and open spaces. These are not only home to wildlife, but also feature some fantastic facilities, enabling local residents and visitors to enjoy countryside activities such as a woodland walk or a waterside stroll.